How to custom low volume manufacturing, this is very important topic to all of customers now, Currently, more and more innovation products undergo common customers examine into open their marketing, so most of products of lifespans are becoming shorter, as a result, many of design company are changing their production to low volume manufacturing, and ask development time of products will be more quickly, so they will be promptly occupy marketing. What’s the customs low volume manufacturing? Low volume production meanings that you will be able to move new production from 100 sets to 10,000 sets depending on the whole development, tooling and relative materials selected used, since these will be affect the whole projects budget. Of course, some of clients in industry will make it as one new production trail running as one prototyping inspection before put them into mass production, if so, they will have more time to estimated marketing, during time, you will have time enough to modify and design modification to match the marketing as fast. As we know, most of innovation products expect to launch in shortest period, so it will ask our engineer team to proceed it so fast including rapid prototyping, tooling and final injection as well as assemble etc, so we will make formal low volume production planning to complete, so you will not have any burden of inventory, you will be able to force your selling to marketing, the delivery time will be in days or 1-2 weeks only, very convenient to you. Most of customers is thinking about to develop their new projects with tight budget, so they always want to proceed small production running, in this time, we will further consider with you in trailing production. 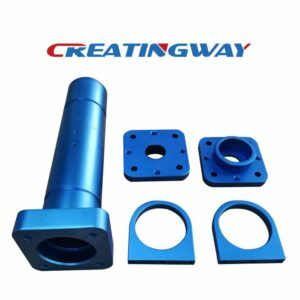 But you do not need to worry about mass materials stock, and high project investment, when your pre-production to marketing have very good feedback, then during time we will proceed formal production tooling for you , we will consult with you on tooling machining without any products postpone. To further compare these above, you will not feel high pressure and finance shorten in order to make your projects successful. When you will small lots products to test marketing, we will be able to redesign and modify the products based on your feedback from basics customers since this is very easy molds, and prototype without more investment, and will not impact final your orders coming. You will have time enough to test the marketing with products, when an larger volumes progressively order needs, we have time enough to prepare next production planning, if so, you will feel more cost saving, and have these time and money to your another new projects development. As usual, some of customers have tight budget for their new projects, so you can think about your projects with low-volume production in Creatingway, we will further consider these based on cost reduction from raw material, tooling, prototype till trail production for you. Like a few pieces, we will suggest to make rapid prototype including CNC machining prototyping, or SLA/SLS prototyping for you. Like a few hundreds pieces, we will suggest to make easy aluminum molds to inject etc, anyway, our engineering teams will consult with you for most efficient process to you depending on your projects budget. This will be easy for you to provide your drawings and concepts to us for discussion, our engineer team will consult with you on materials choice based on budget and pre-production. Welcome contact and visiting us on your projects, we are dedicated in these metal and plastic products including CNC machining services, rapid prototying, SLA/SLS prototyping, injection molds and assembly, we will try to meet your requirement, make you so easy and comfortable. Contact us now.